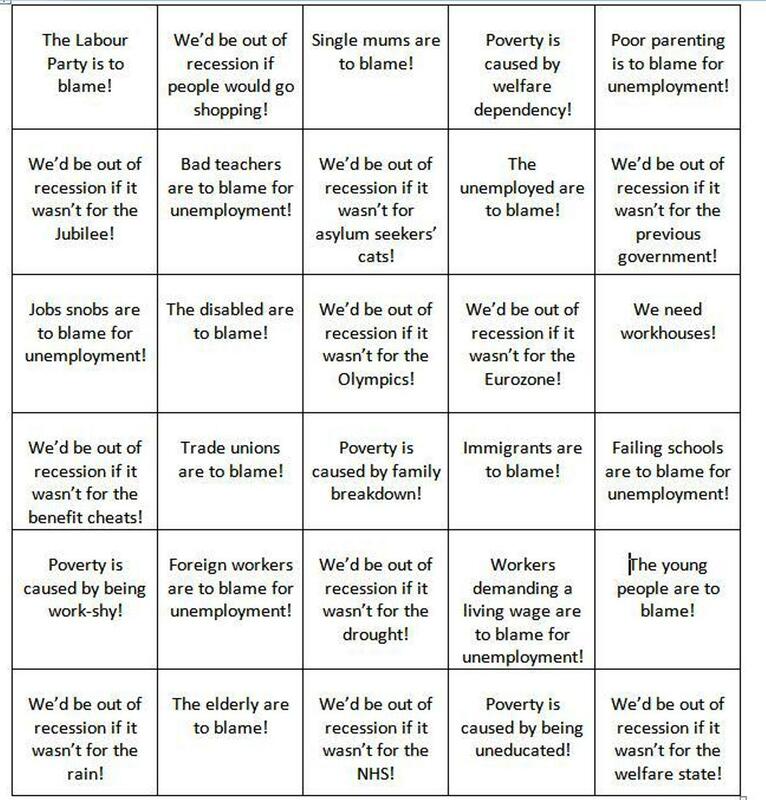 This entry was posted in Journalism, Media, Newspapers, Uncategorized, Unemployment and tagged bingo, coalition, dole, dole scum, Journalism, Journalist, poverty, recession, Unemployed, unemployment, youth unemployment by unemployedhack. Bookmark the permalink. You forgot one – students. Bloody students! Getting an education – paying a fortune for it – and then thinking they’re entitled to paid work, even well-paid work. Students being unwilling to be on never-ending internships is to blame for unemployment! Lovely – you made my morning! Nice to see single mums getting some representation!